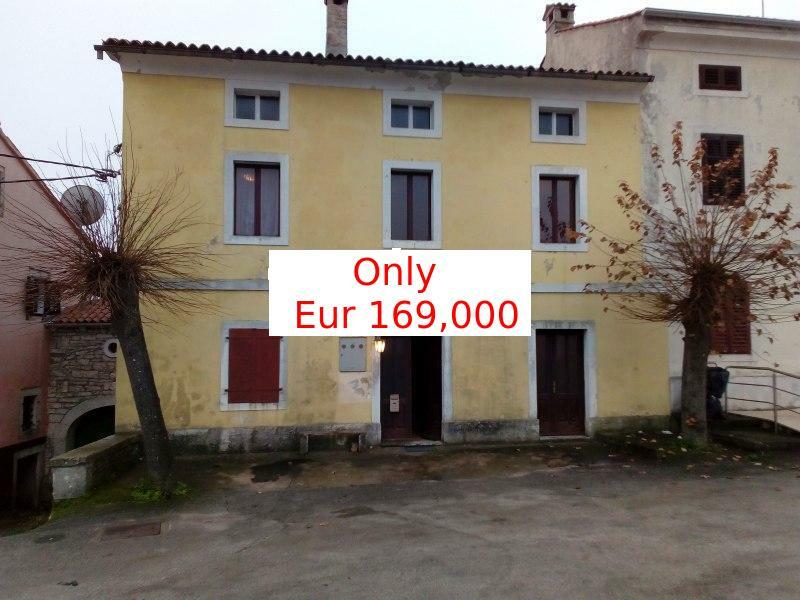 We are pleased to offer this recently built fully furnished 4 bedroomed house with sea views near to Umag. Offers invited. 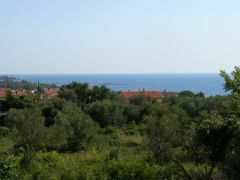 We are pleased to offer this recently built fully furnished 4 bedroomed house with sea views near to Umag. 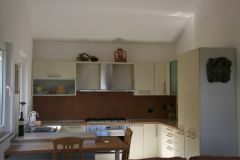 Superb modern villa of attractive design on three levels, recently completed to a high standard and specification. 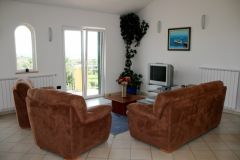 The villa has spectacular 180 degree views of the surrounding countryside, Zambratija bay and coastline. 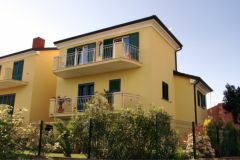 Situated in a quiet residential area only a short walk to the beach and the Adriatic sea. 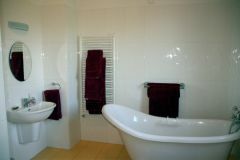 Main entrance / hallway leading to three double bedrooms, a master bathroom complete with an English style 'slipper bath' and a second bathroom. Stairs continue up to the top level, opening onto a magnificent open-plan vaulted ceiling area comprising the lounge, dining area & kitchen. 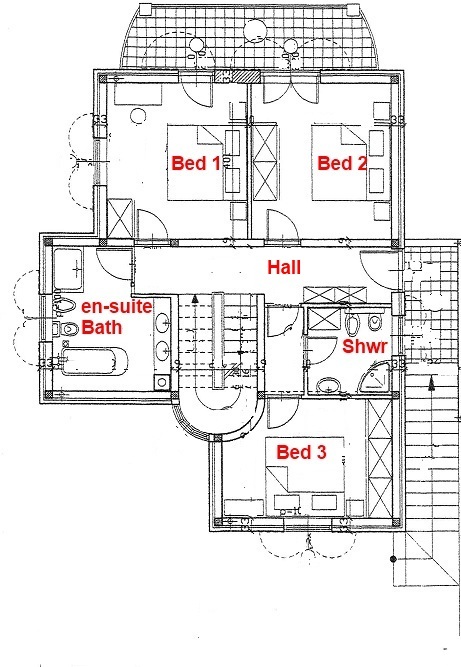 2 x double French doors give access to a full length balcony with panoramic views. 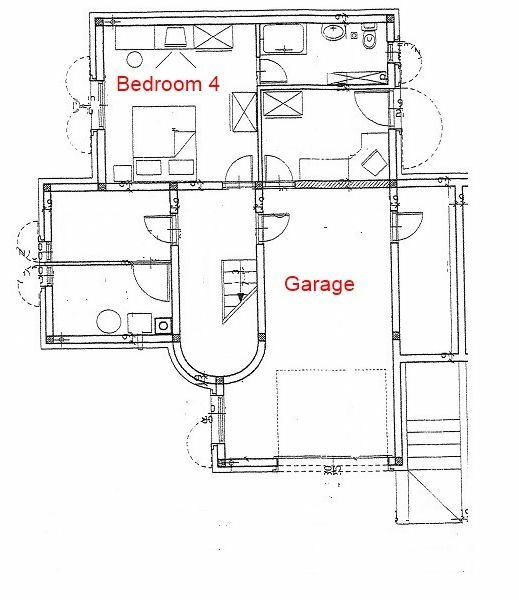 The ground floor consists of a garage with side cellar leading to spare room / office, door to foyer leading to double bedroom with en-suite bathroom. 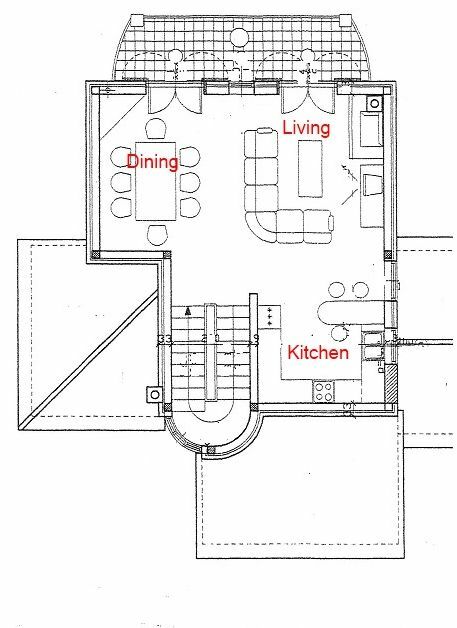 Further doors to utility and heating rooms with stairs leading up to the main hallway. 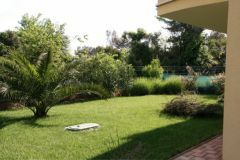 In total the villa has: double bedrooms x 4, bathrooms x 3, open plan living room, dining area & kitchen, balconies x 2, large ground floor garage, utility rooms x 2, storage room, office, 3 block paving parking places & beautiful landscaped garden with automatic watering system, Sat T.V., telephone, broadband internet connection, gas powered central heating, secure aluminum shutters & automatic garage doors. The villa is situated in a peaceful residential lane, close to all amenities and only 5-10 minute walk to the local sandy beach of Zambratija. Zambratija / Savudrija is a suburb of Umag, with its world class tennis and is the most northern part of the Istrian coastline of Croatia on the Adriatic coast. 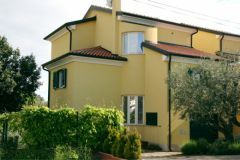 Situated in the gulf of Trieste, it is only 15 minutes from the Slovenian border, 45 minutes from Trieste airport, Italy and 45 minutes from Pula airport, Croatia.